We offer a 3 hour sightseeing trip around King's Bay and the river to see what the beautiful Crystal River has to offer you on the water. 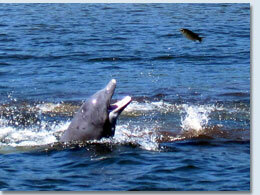 On our sightseeing trips you will see a variety of different animals we have here in the Crystal River area. The constant temperature in the spring-fed crystal river provides a winter refuge for numerous manatees. White pelicans, wading birds and a glimpse of endangered whooping crane also adds excitement to any excursion. As we travel down the river, we may see dolphins jumping around in the waves from the back of the boat and many more fish too. We have many beautiful wild animals in our area to see. We occasionally see a bear or wild pig while traveling down the river. 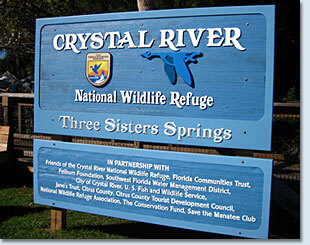 This is a perfect trip for visitors who are new to the area and planning to call Crystal River their home. On our sightseeing trip we also will take you around to the different crystal clear springs in area and will go up and around shell island. We have had requests to see some of the homes for sale that are located on the water, this is your 3 hour trip to see the area it’s up to you on what you would like to see and do. We accommodate many different requests for our sightseeing trips if you book a private tour you are able to request where we go. The one great thing about our company is that we do not put more than 6 people on our boats to book a private tour you would need to pay for all 6 spots on the boat. For a party of 2 it is $125.00 and every additional person after that it would be$50.00 per person. 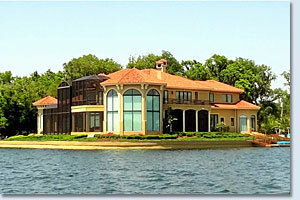 To book a Crystal River Sightseeing Tour, call us direct at 352 445-5489.